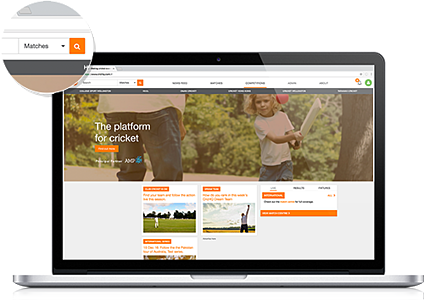 It has been a wonderful year working with all CricHQ users to make cricket even better. We are excited to announce some great holiday goodies for you to enjoy over the break. Check out all the details below and until next year, safe travels and Happy Holidays from all of us at CricHQ. 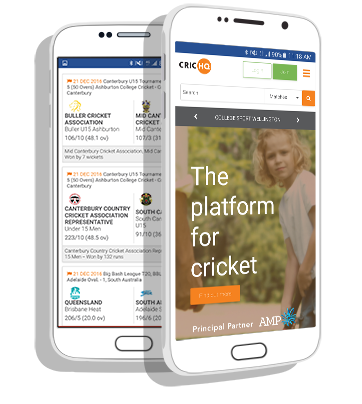 Make the most of CricHQ from any device, anywhere in the world, with our new mobile responsive website. Behind the scenes the team have worked tirelessly to bring you new and improved aspects of CricHQ.com including a new homepage, easier navigation, faster loading times, and mobile friendly pages. Learning from some of the best in the world, we have begun massive changes to ensure searching our site is even better for you. This includes some fancy algorithm changes, but more noticeably an improved user experience when using the search bar, allowing you tofind what you need quicker than ever before. Notifications for all! We hadn't forgotten about you, our loyal iOS followers. After the success of the release of Android notifications, we are rolling out the same for our iOS app users. Download the latest CricHQ for iOS v6.4.0 and enjoy up to date information on all the players you follow, sent straight to your iPhone. The team had a lot of feedback around the speed of our Android application. To make sure you get the best experience of CricHQ we have had our techies orking away to speed up everything from screen load times and image rendering, right down to networking and data usage. Awesome new and efficient homepage on the @CricHQ website! Love it, top work team! #CricHQ A massive shoutout to @CricHQ for making the #BasinBlast possible. It's been a cracking day at the @BasinReserve!